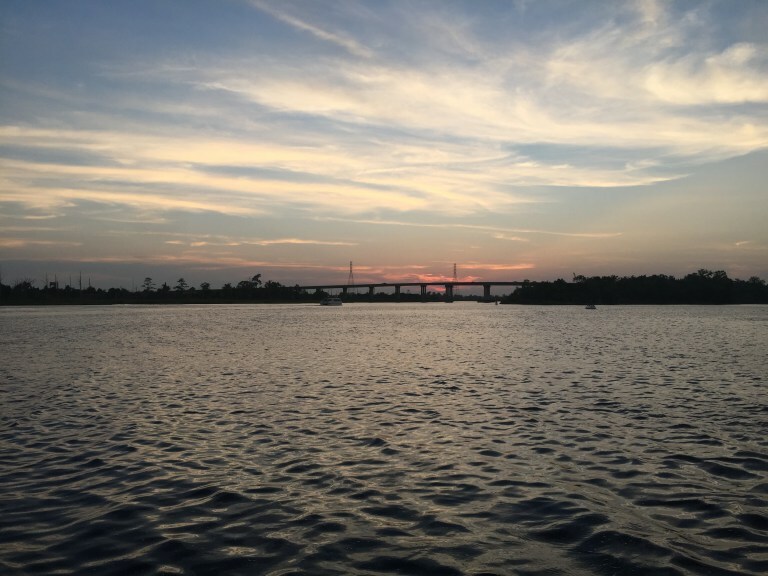 It feels like just yesterday that the sun set across the Cape Fear River on the last night of the 2018 Annual Meeting in Wilmington. For decades, the attorneys of North Carolina have been meeting every summer to discuss changes to the law, to honor the most deserving in the profession, and to break bread together as lawyers and friends. In June during three fun-filled, eventful days, a near-record number of Bar Association members, their spouses, and guests traveled to the coast to partake in the annual gathering. Wilmington did not disappoint, as you can see in our pictures and videos. The total official attendance of 849 was more than 40 percent than 2017 attendance, surpassed only in recent times by the crowd that U.S. Supreme Court Justice Scalia’s appearance drew to Annual Meeting in 2013. The exciting events kicked off with Thursday’s opening reception, which was moved out of the heat into the air-conditioned comfort of the Wilmington Convention Center. Folks caught up with their friends from across the state and across the crowd during the reception, followed by the first awards dinner, a sold-out event honoring the best lawyers in the NCBA. Friday morning brought a special joint session with the Superior Court judges, featuring the Chief Justice’s State of the Judiciary Address, a civil law update, and a poignant presentation by Willis Smith/Willis Smith Jr. Professionalism Speaker and cancer survivor Superior Court Judge Carl Fox of Orange County. On Friday and Saturday afternoons, lawyers managed to earn 389 combined hours of CLE credit, the cost of which was included in the price of registration. Friday night brought the law school receptions, the Division socials, and the Legal Legends of Color Awards recognition. On Sci-Fi Saturday morning, nationally recognized experts discussed the future of law, urging us all not to fear the coming robot lawyers and explaining the expanding role for technology in the legal practice. Meanwhile, in virtual reality, former NCBA President Kearns Davis battled sharks, dinosaurs, and his fear of heights to demonstrate immersive video experiences. Saturday night was filled with the reception, dinner, gala, and the induction of Jacqueline D. Grant as the 124th president of the North Carolina Bar Association. The Annual Meeting is made possible by the hard work of the NCBA staff and the Convention Committee of the NCBA. The NCBA will return to Asheville in 2019, and work has already begun to build on the success of Wilmington. Stay tuned for a survey and more information on next summer’s meeting in the mountains.